Cordura brand exhibited at the A+A international workwear show last month, where it debuted a cutting-edge collection of new fabric technologies for protective wear, including lightweight durable hi visibility laminates for outdoor working and rugged performance stretch fabrics used to reinforce work garments. Innovation in Textiles spoke to Cindy McNaull, Global Brand Director for Cordura fabrics, about the latest innovations for protective wear, the company’s recent collaborations and its ongoing commitment to developing durable technologies designed to help people “Live Durable”. Cordura has been marking its 50th anniversary this year launching an array of new fibre and fabric innovations, end-use applications and collaborations. How has it all been going? CM: Our 50th anniversary year has truly been one for the record books…an exciting year where ‘heritage meets innovation’ powered by collaboration with both long-standing supporters of Cordura fabric and the development of new alliances that will help us build for our future. And of course, naturally, a lot of birthday cake too! We started off in January by launching the strongest nylon 6,6 fibre Invista has ever produced. This patent-pending new fibre has now been adopted by international militaries for next generation combat uniforms as well as by Dickies for their new Pro workwear line in the USA. This fibre technology is designed to enhance the core strength of staple based Cordura fabrics and will be the basis for many more industry innovations to come. February brought some amazing news as we were honoured with a record breaking 50 ISPO Textrends Fabric Innovation Awards, including a first time “Best in Category” Base Layer textile win with Cordura 4ever knit by Yoonia, Korea, and three Top 10 performers across the Soft Equipment and Membranes & Coatings categories. This accomplishment is a true testimony to the hard work and dedication of our extended Cordura brand mill and supply chain family, and we couldn’t have been more thrilled. In addition to our ground-breaking innovation advancements, we have also been part of several legendary collaborations this year. In the first half of the year, we collaborated with Woolrich to bring back Wool-Dura; Cone Denim on the first ever Cordura Selvage Denim; Cotton Inc to make the ‘fabric of our lives’ even more long lasting; Suedwolle Group for next generation performance wool; Carrington on a new flame-retardant treated fabric featuring Cordura Nyco technology for enhanced abrasion resistance; and DuPont Tate & Lyle’s Susterra brand to bring a new level of durable, sustainable performance fabrics to footwear and apparel. To round out our year at the A+A international workwear show, we were pleased to debut a cutting-edge collection of new fabric technologies. Earlier this year you announced a new dynamic marketing approach saying that Cordura brand is sending a new message – Live Large. Live on the Edge. Live and Learn. Live Durable. – as part of its new brand positioning. What’s that all about and was it visible at the recent A+A in Dusseldorf? CM: From our innovative fibre technologies to our authorised mills and dedicated supply chain partners, head to toe fabric solutions, loyal brand customers, their built to last products, and the durable lifestyles our collective customers live, our new all-encompassing brand positioning – Live Durable – takes a fully integrated 360 focused approach. 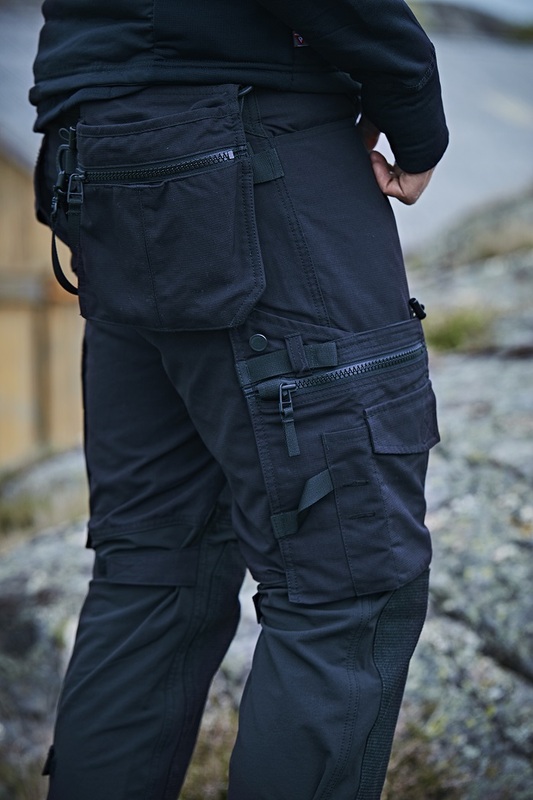 We know that people Live Durable, but no matter how they do it – whether it’s working on the job, adventuring on the mountain, or battling the urban jungle – Cordura fabrics are designed to enhance and enable whatever journey they are on by providing best-in-class, built to last fabric solutions. At the recent A+A Show, we presented our latest portfolio of Cordura fabrics designed for workwear and protective apparel applications. Innovations that support our ongoing commitment to developing durable fibre and fabric technologies designed to help people “Live Durable”. 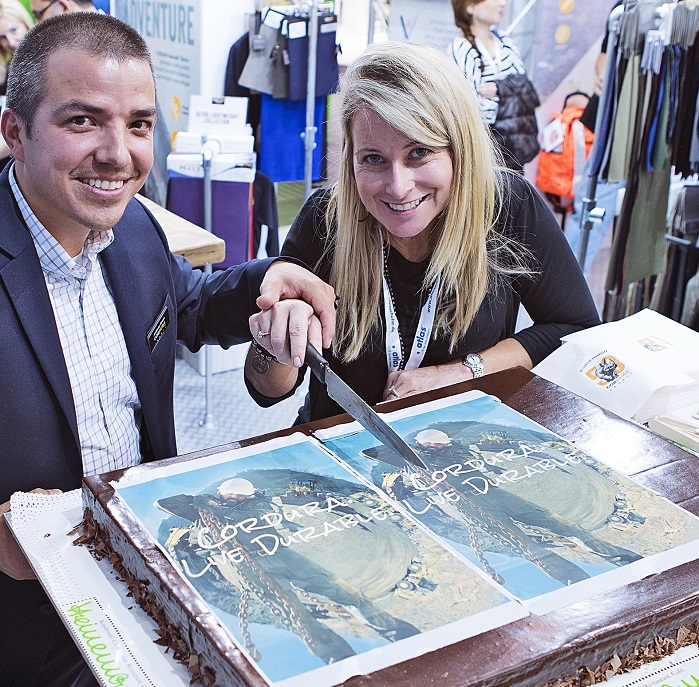 Cordura brand is broadening its portfolio of protective performance fabric technologies for today’s workwear environments and the latest innovations on display at A+A Show showcased some ground breaking new developments. What are the main highlights and how important is wearer comfort with these innovations? CM: At this year’s A+A show, we put a strong emphasis on new fabric technologies for protective wear. These include Cordura Hi Vis fabrics, FR treated Cordura Nyco fabrics and specialist materials for garment reinforcement. We know that workers today need garments that are specifically designed to be durable and meet the challenges of their job, but that are also easy and comfortable to wear too. Our range of Cordura fabrics for work clothing are designed to combine comfort factors such as stretch or breathability or water-repellency with a core of durability, to support workwear brands who are seeking technical fabrics to get the best design solution for their customers. 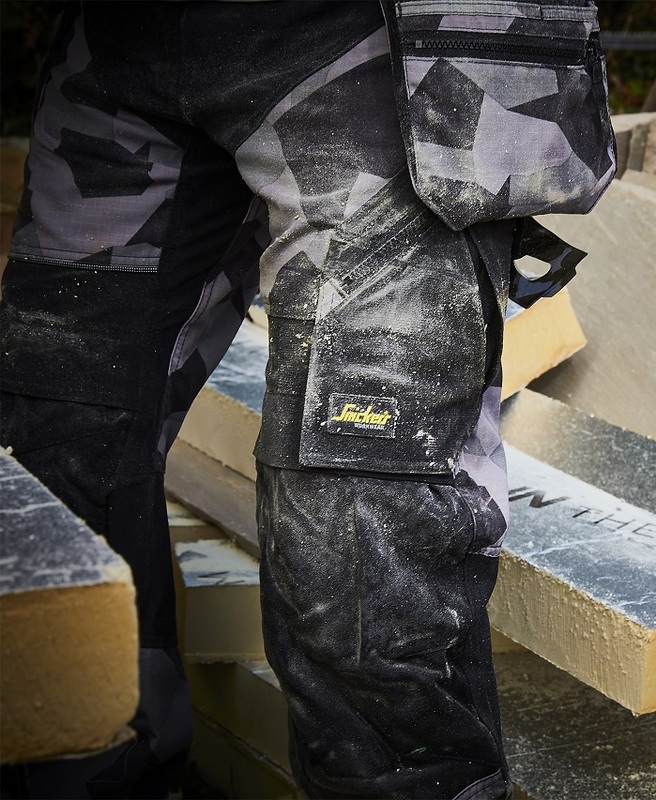 For example, a hi-vis abrasion resistant fabric might be used to reinforce around the knee and lower leg area, but a lightweight stretch, moisture management fabric is the ideal solution for the main trouser. 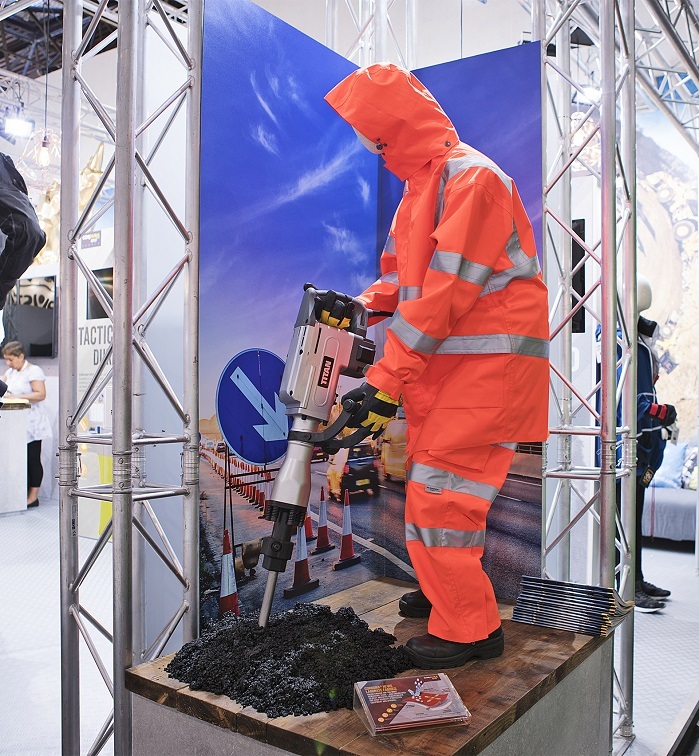 You were showing new Cordura brand high visibility, lightweight, waterproof, durable 2 and 3-layer laminated fabrics for outerwear, which are targeted for garments used in road/rail construction, as well as security and emergency services. What are the main technical features and benefits with these fabrics? CM: Cordura fabrics are used to make garments and gear that are optimal for on-the-job duties. So, we are constantly working toward next generation solutions for today’s workers, which means looking at increasing both comfort and functionality of textile technologies without compromising on the durability or protection required. Our latest Cordura Hi Vis laminate fabrics represent a new chapter in the Cordura protective wear fabric portfolio with the combination of high visibility, water-proof performance and excellent abrasion and tear resistance that meet industry requirements for garments for outdoor working such as road construction. Currently available in a 103 – 220 gsm weight range, the Cordura Hi Vis collection is designed with wearer comfort and seasonal optionality in mind. Also on display at A+A was Cordura 4ever Knits – French terry and fleece constructions from Ifateks, Turkey. Can you tell us a bit about them and what are their main areas of application? CM: Cordura 4ever fabrics include a range of knit constructions (jersey, interlock, pique) and fleeces, all designed with longevity and the all-around consumer in mind. These fabrics are primarily nylon 6,6/cotton blends and are targeted for tee’s, hoodies, sweatshirts and similar garments. They include rugged comfort options that help meet the demands of today’s growing millennial workforce for work clothing with an urban sportswear edge. Mixing power, comfort and durability, Cordura 4ever knits cater to a variety of consumers, meeting their lifestyle versatility demands with stylishly durable on the job apparel, or even clothing suitable for a night on the town after work or an adventure filled weekend. Finally, the company presented Cordura fabrics with Susterra bio based membranes and coatings in Dusseldorf. What are the main features and applications here? CM: In our collaboration with DuPont Tate & Lyle Bio Products, we have been developing fabrics this past year that marry the legendary long-lasting durability of Cordura with the bio-based performance of Susterra membranes and coatings. Durable, solvent-free, renewable, and recycled are the key descriptors for the exciting new developments coming from Tiong Long, a Cordura fabric authorised mill which specialises in fabrics for footwear and gear. Everest, the first apparel fabric mill brought into this collaboration, has produced Cordura Naturalle softshell fabric incorporating Susterra polyurethane bio-based membrane containing more than 25% renewable sourced materials by weight and Sorona bio-based fleece for warmth. This is a fabric engineered to help keep your body dry and comfortable in all kinds of weather. Working with the talented teams at DuPont Industrial Biosciences and DuPont Tate & Lyle to help define the durable, eco-efficient solutions of tomorrow with Cordura + Susterra + Sorona softshell fabric has been an amazing opportunity to bring together the rich heritage we all share and is certainly one of the highlights of our 50 x 50 ‘heritage meets innovation’ anniversary celebration.